Earn up to 16,952 reward points. A formidable 5-string made to the exact specifications of Michael Tobias and bass legend Andrew Gouche. Michael Tobias and legendary bassist Andrew Gouche worked together to create the MTD Kingston AG, an amazing bass with many custom features that were personally selected by Andrew himself. This bass is fully loaded with a 35" scale, alder body with maple burl top and one-piece neck, MTD quick release bridge and Bartolini pickups and active Bartolini 3-band preamp. 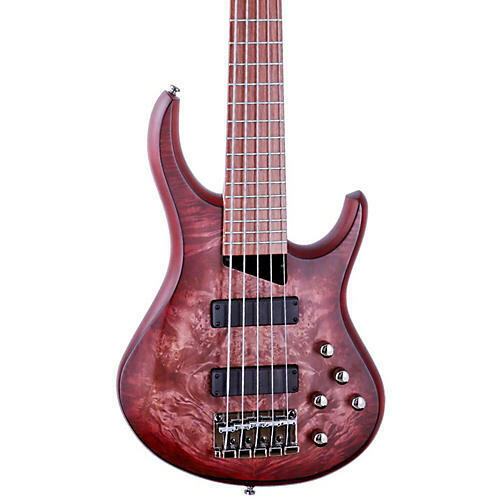 With its smooth playability and mind-altering tones, this bass will change the way you think about the instrument. Available in a custom finish created to perfectly blend with the fingerboard. In Michael Tobias's own words, "This is a sweet sounding bass."